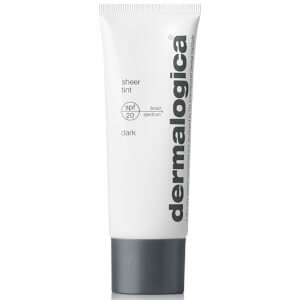 Restore your skin while you sleep, with Dermalogica Pure Night rich, nourishing treatment cream. Your skin works hard overnight to regenerate and repair day time damage, so this blend of skin brightening agents prevents dark spots and uneven skin tone. E.N. Directions for use: For best results, apply to face and neck every evening. Active Ingredients: Avobenzone (3.0%) Octinoxate (7.5%). Inactive Ingredients: Water/Aqua/Eau, Carthamus Tinctorius (Safflower) Oleosomes, Butylene Glycol, Glycerin, C12-15 Alkyl Benzoate, Polysorbate 80, Dimethyl Capramide, Cananga Odorata Flower Oil, Eucalyptus Globulus Leaf Oil, Lavandula Hybrida Oil, Lavendula Spica (Lavender) Flower Oil, Laminaria Ochroleuca Extract, Palmaria Palmata Extract, Oligopeptide-34, Dipotassium Glycyrrhizate, Lactobacillus/Pumpkin Fruit Ferment Filtrate, Niacinamide, Zinc Glycinate, Sodium Hyaluronate Crosspolymer, Polysorbate 60, Ammonium Acryloyldimethyltaurate/VP Copolymer, Vinyl Dimethicone/ Methicone Silsesquioxane Crosspolymer, Hydroxyethyl Acrylate/Sodium Acryloyldimethyl Taurate Copolymer, Isohexadecane, ButyleneGlycol Behenate, Glyceryl Polyacrylate, Disodium EDTA, Sodium Hydroxide, Ethylhexylglycerin, Phenoxyethanol.